Please complete the following application form and we will contact you within 2 weeks to discuss your application. Please let us know if your facility serves any of the following ­ Corrections, Mental Health, Addictions, At-­risk Youth, Women who have experienced violence, Seniors, other please specify. Please provide age range, estimated number of clients yoga program would be available to, expected attendance numbers, gender etc. Please give an overview of particular challenges/special needs of students (eg. Addictions, prenatal, mental health, etc.) This information will be shared with teachers who are interested in applying to teach at your facility so please make it as full and clear as possible. Again, this profile will be shared with teachers who are interested in applying for volunteer teaching positions at your facility so please take the time to make it as full and clear as possible. Please indicate the amount you are able to pay/class. If your answer was yes to the previous question please provide details about the program and why it was discontinued. Please give as many options as possible to accommodate limited volunteer availability. Please give details of your preferred class scheduling. Please note we ask all of our volunteers to carry liability insurance to cover them in the practice of teaching yoga. Your insurance would only need to cover the volunteer if something happened to them while on site. Spray bottles with a mild solution of vinegar and water can be used with paper towels to clean the mats after class. Students can be asked to take responsibility for this task. Please note it is a YO program requirement that we receive regular input from both clients and facility staff . If your facility is consistently unable to meet this requirement we may discontinue support of your YO program. If you answered no to the previous question please explain. I understand, we will not solicit otehrs for yoga programming once YO has accepted us for programming.  Please note that once YO has accepted your application we request that you do not solicit others to teach yoga at your facility. YO will invest significant resources in getting a program started for you and we appreciate your support.